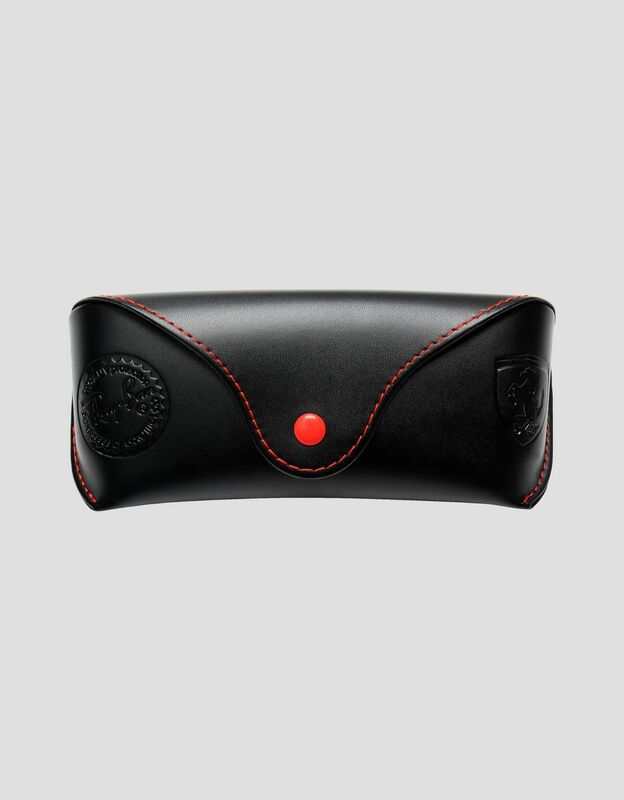 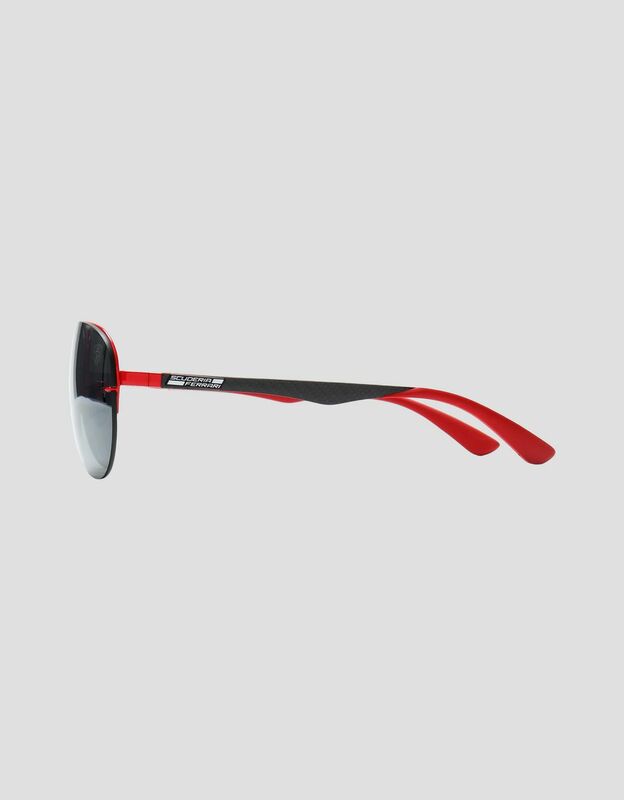 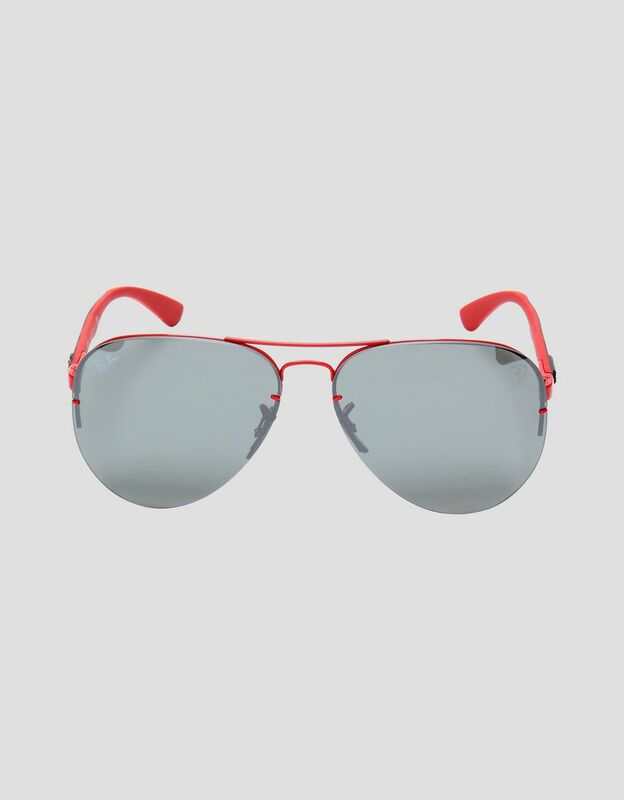 This is a new take on the timeless allure of Ray-Ban Aviator sunglasses for Scuderia Ferrari fans. 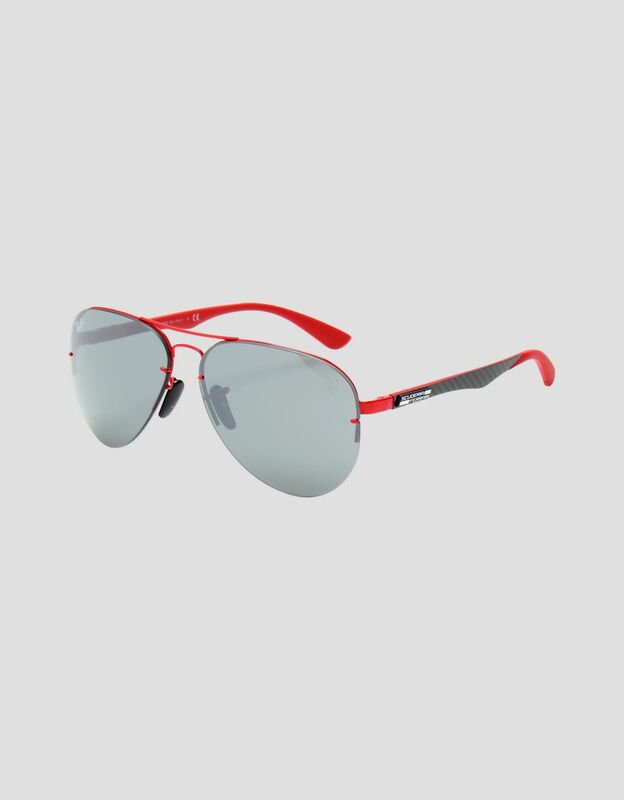 The rimless carbon fiber frame underscores these Ray-Ban x Scuderia Ferrari glasses’ energy and durability. 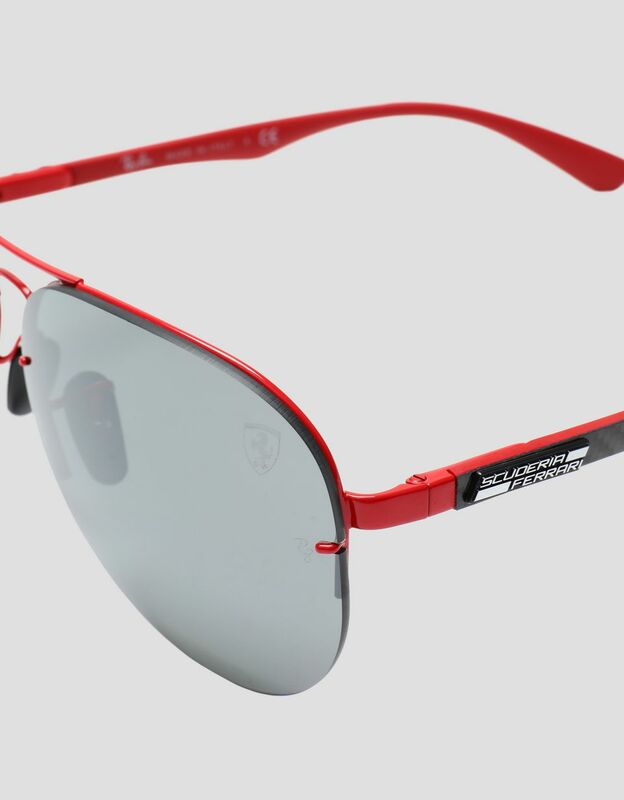 The Ferrari Shield on the lenses customizes the glasses.